Sow only clean, pure seed, and keep weeds from going to seed. Mow pastures, waste places, and fence rows. Cooperate with all weed control efforts. Keep everlastingly after the weeds, or they are likely to control you. Weeds wring a staggering total in dollar losses from American farmers every year. The enormous amount of time and labor involved in their control is only one item of the cost; there are other equally serious losses when a neglected weed patch, like a menacing octopus gets a strangle hold on your crops and squeezes the profits from your farming operations. In addition to the cost of control methods, principal losses from weeds are these: reduction in crop yields, when weeds steal plant food, moisture, and light from crops and interfere with root growth; hindrance in harvesting operations, with undue wear on equipment; loss from dockage and attendant shipping costs; expense of cleaning crop seed; reduction in the market value of the crops themselves; decreased value of wool in certain sections due to burs; crop destruction by insects and plant diseases that find a harboring place in weeds; and heavy losses of livestock after eating poisonous plants. Because of the extra cultivations required before, during, and after the growing season, weeds greatly increase the cost of producing crops. They add to the cost of harvesting, hindering its progress, increasing the bulk to be harvested, threshed, and handled, and causing extra wear and occasional breakdowns on the machinery. They increase the cost of marketing. For instance, the dockage in spring wheat, which runs from 3 to 10 per cent of the crop, consists chiefly of weed seeds that have been threshed, stored, and shipped at needless effort and expense. Weeds reduce the value of crops. If they are green when a grain crop is cut, for example, they not only tangle it, but delay the curing of the grain, and in some cases cause molding or even heating in the shocks or stacks. If they remain in threshed grain, they may heat it in the bin or impart an objectionable odor, lowering the grade of the grain and reducing its market value. Weeds decrease the value of land. When perennial weeds completely infest a farm, there is no cash salvage, no equity — nothing but unproductive acreage. Wild garlic and ragweed cause great annoyance to dairymen and milk dealers. These weeds, when eaten by milk cows, give a disagreeable odor and flavor to the milk and, consequently, to all other dairy products. When cows eat such weeds in large quantities, the milk is not marketable. The control of pasture weeds is a big problem for dairymen in certain areas. In addition, 90 per cent of the loss of livestock on range is said to be due to eating poisonous plants. Many of the insects destructive to farm crops hibernate or breed on weeds, which are also host plants for many of our worst plant diseases. This alone is responsible for a tremendous loss. In many hidden respects, the presence of weeds reduces farm profits — in land, seed, hay, pasture, and the commodities themselves that are produced on the farm. Whatever the means by which it reproduces itself, every weed is a trouble maker and a fighter, well able to take care of itself in competition with other plants, particularly crop plants, which have largely lost their ability to survive under natural conditions. Annual weeds live only one year, maturing their seeds and then dying. These weeds usually have either small, fibrous roots or a fleshy taproot somewhat branched. 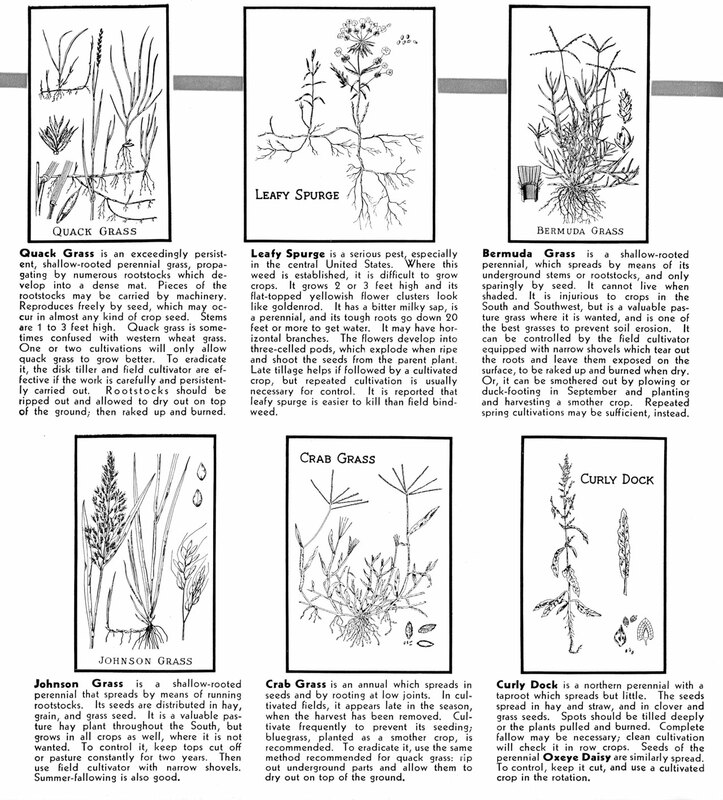 Ragweed, wild oats, wild mustard, and crab grass are among the more common annuals. Those weeds which germinate in the fall, live through the winter, and mature their seeds in the spring, are called winter annuals; they are often troublesome in small grain or in meadows where the stand of clover or grass is thin. Common peppergrass and yellow foxtail or pigeon grass are examples of winter annuals. Most annuals produce a large quantity of seed, which in some species retain their vitality in the soil for many years. Annuals can be killed by frequent harrowing or cultivating while the seeds are germinating, and by pulling or cutting the seedlings at the surface of the ground as they come up. Biennial weeds live two years; their behavior is similar to red or sweet clover. During the first year they grow rather slowly, usually producing a taproot and a rosette of leaves. They produce seed, and then die. 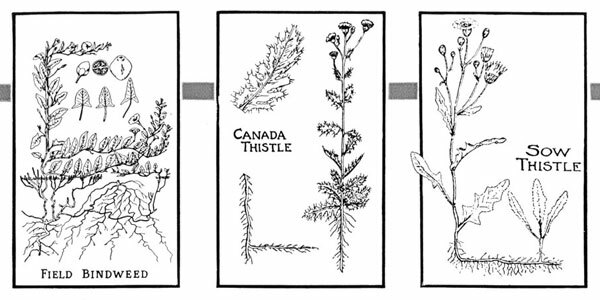 Examples of biennial weeds are common or bull thistle, and wild carrot. Weeds of this class may be killed the first year of their growth by cutting them at least four inches below the surface of the soil. During the second year, two or three cuttings are required on those that remain, in order to prevent seed production. In the case of perennials, however, besides preventing the ripening of the seed, it is also necessary to keep down the top growth in order to starve out the underground parts. This top growth is as essential to plants as lungs are to animals. Without it, they cannot live; with it, the roots of perennials will live indefinitely. Any control methods that successfully keep down the top growth and, at the same time, fit into your system of farming can be used. The underground parts of perennials may consist of long, more or less horizontal roots, as in the case of the horse nettle, field bindweed, and Canada thistle. Again, the underground parts may consist of rootstocks or underground stems, as with quack grass, Johnson grass, Bermuda grass, and perennial sow thistle. Or the underground parts may consist of bulbs that split up, as in the case of wild garlic, or the parts may be more or less in the form of a taproot, as with dandelion and curly dock. Perennials are also classified as deep-rooted and shallow-rooted, the former being destroyed by cutting the root parts below the surface, and the latter by digging out the entire weed. Perennials such as field bindweed, that are propagated by running roots, are particularly difficult to eradicate or even to control; their roots often branch and form a complete network extending horizontally at a depth of 6 to 30 inches below the surface of the ground. They have no nodes, scales, or apparent buds; and the absence of these distinguishes them from rootstocks, or rhizomes. They are capable of producing shoots at almost any point. Professor A. N. Prentiss of Cornell University has demonstrated by experiment that a Canada thistle root cut into pieces one-fourth of an inch long can produce shoots from nearly every piece. Pulling up plants which spring from running roots rarely injures the root system. The plant pulled up usually breaks off at the point where it is attached to the horizontal root, leaving the latter undisturbed. The horizontal root system is often below the reach of the plow and, while the farmer is mowing, pulling, and cultivating to destroy the plants which appear above ground, the root system remains uninjured except for the loss of nourishment, and continues to send up new shoots which will grow as soon and as fast as cultivation is reduced. In fact, the only practicable methods of killing roots of this class are either to exhaust them by constantly preventing the growth of any shoots above ground (by continuous, clean cultivation during several successive years ) or, if they are in small patches, to poison them with chemicals (but then you poison other things). Perennial weeds with underground stems often send them out too deep to be disturbed by surface cultivation. They produce buds at their numerous scaly nodes, and these buds develop into new plants in exactly the same manner as branches are produced above ground. In one year, several plants may arise from a single underground stem. It is in this way that the plant spreads. The rootstocks may also be broken into several parts, each of which is capable of developing a new plant. If these underground stems are broken, they may be carried to uninfected soil and become a source of new infestation. The primary function of the underground stems is to reproduce the plants and to act as a storage reservoir for plant food. Any method of control for such weeds, therefore, must have as its object (unless the plant is poisoned outright) the complete exhaustion of this reserve food supply. This is best accomplished by frequent and clean cultivations wherever a cultivator can be used. When conditions are favorable for the weed, it will make rapid growth, sending up new shoots immediately after each cutting. This is an advantage, since these shoots draw on the reserve food supply and cause the plants to be starved out more quickly. It is very important that the shoots be cut off before they get too far above the surface of the ground. The root crown type of perennial does not produce underground roots or stems and, therefore, does not spread underground. Wild garlic, for instance, has underground bulbs that split up. Dandelion and curly dock have a slushy main root, or root crown, which acts as a storage reservoir for food in addition to having other functions. New shoots develop from the crown of these fleshy roots each year. Cutting them well below the root crowns will often kill this type of perennial. 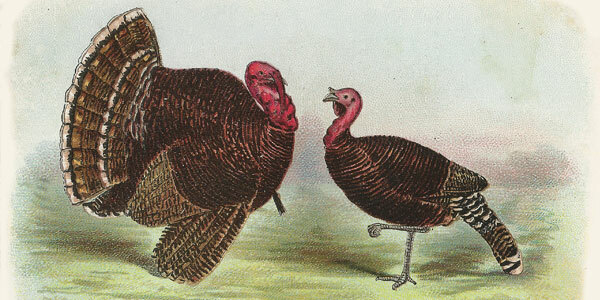 They cause little trouble in land that is frequently cultivated, and in badly infested land a complete kill can be made in a reasonably short time by proper cultivation. Lawns, pasture, and hayfields suffer most from root crown perennials. Badly infested pastures and hayfields should be plowed up and seeded to cultivated crops. Old infested alfalfa fields should be plowed up and seeded to an inter-tilled crop. It is important to begin spring control early, as soon as any growth is visible, and to continue the operations into the fall as long as new shoots appear. Because of the wide variance in soil and climatic conditions, the character and habits of the weeds most prevalent, and other influences, obviously there can be no single hard-and-fast rule for the eradication or control of weeds that would apply to all parts of the country. However, experiments in the control of the most pernicious weeds, conducted at various places in the United States, have resulted in the conclusion that thorough cultivation, consistently carried on, is one sure method of complete weed eradication, even of the worst perennials. It may take one, two, or three years for a complete kill, but it can be done — on a community-wide basis. Cultivation is inexpensive, compared to the cost of chemicals; it conserves soil moisture and prepares the ground for the next crop; and it destroys or brings to the surface many of the weed seeds in the soil. Most of the machines considered as only weed destroyers can also be used for general tillage work for many years, and are therefore an economical investment. Weeds spread and reproduce themselves in different ways — by dropping their ripened seeds on the ground, by sending out long horizontal underground stems or roots, which throw up new plants, or by producing new shoots from the crowns of the plants. The most difficult perennials propagate themselves through their horizontal root systems, and practically all of them also produce from seed. Time was when weeds often became established because they were not immediately identified, or because the farmer did not realize that, once they had taken hold, it would be next to impossible to eradicate or even control them by ordinary farming methods. But there are few farmers today who are not familiar with the weeds on their farms. Perhaps the main reason why weeds get a hold on any farm is because the farmer is usually too busy with other work to do a thorough job of weed-killing when the time is ripe — and timeliness is of great importance in their control. For lack of time, he may put off cutting out the weeds along the fence or hedge rows, or in an infested field or pasture, or in waste spaces, until it is too late. Then he finds that they have gained a strong foothold and are a serious menace to every inch of his cultivated land, as well. Another reason why weeds are so “pestiferous” is that their own seeds have characteristics which enable the weed plants to compete successfully for survival. For instance many weeds produce seeds in unusually large quantities. It is a trait of certain weed seeds to mature in a short time and shatter off before the crpp is ready to harvest (wild mustard and wild oats, for example, in spring wheat). Some weed seeds are difficult to distinguish from crop seeds, or are especially adapted to wind distribution, or are able to grow after being in the soil for a long time. Some of the commonest weeds will germinate after forty or fifty years in the soil, especially if they have been plowed under deeply. Again, certain weed seeds remain in the soil for a year or more and fail to germinate, even under ideal conditions, because it is their nature to remain dormant for a definite period of time. Some weed seeds are thrown from the pod. When the leafy spurge is mature, the sides of the pods dry in such a manner as to produce a strong sidewise tension that causes the seeds to be thrown several feet. Much the same method of seed expulsion is found in other species of weeds. Weeds in pastures that are not mowed or eaten by livestock continue to flourish and bear abundant seeds that spread to cultivated land and reduce pasture value. Most weeds now found in small grain and hayfields are said to have been introduced in impure or weedy grain, clover, and grass seeds. Many new weeds are today being widely disseminated in the same manner. In small grain and hay farming, no phase of weed control is more vital than the use of clean seed. It is of the utmost importance that you buy good seed, either from certified seed growers’ associations, from reliable seed dealers, or from individuals who are careful about cleaning their seeds. To do your buying intelligently, it is necessary for you to know what constitutes good seed, what high-grade seed is worth, and to be willing to pay a fair price for it. Laxity on one or more of these points is responsible for most of the trouble over poor seed. Cheap seed is often the most expensive kind that you can buy. Many weed seeds resemble the crop seeds in which they are commonly found, both in size and in general appearance, thereby escaping attention of any but the most experienced seed analysts. This is especially true of dodder seed which is commonly found in alfalfa seed. Weed seeds so near the size of the crop seeds in which they are found are difficult to remove; therefore, it is safer to buy only clean, pure, certified seed. Uncleaned threshing and baling outfits, binders, combines, corn pickers, and other farm equipment are carriers of weed seeds. It is a wise precaution to see that the combine, thresher, or other machinery is well cleaned before it reaches the field, or at least that it is cleaned in a place where the weed seeds will not be scattered on the soil. It is said of a progressive farmer, who has driven wild mustard entirely from his place, that he goes out with a broom to meet the threshing machine and attends to cleaning it himself. 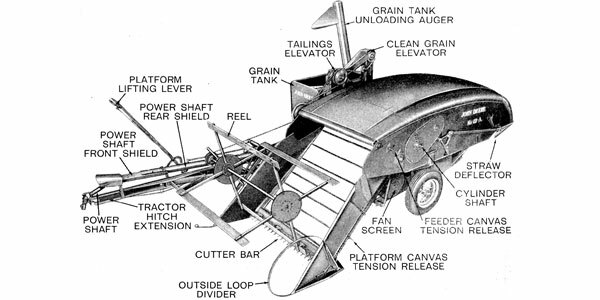 Many other farmers use the broom method for cleaning threshers, balers and other equipment. Roots, rootstocks, and bulbs are sometimes carried from field to field and from farm to farm by plows, harrows, cultivators, and between the lugs of tractor wheels. Purchased hay and straw are almost sure to contain weed seeds, and as long as the buying of these products from outside continues, there is little chance of preventing the spread of weeds in this manner. The chief danger in feeding weedy hay is that the stock will pass the undigested weed seeds and, when the manure is spread fresh, a new crop of weeds will come up. As a precautionary measure, it might be advisable for the man who buys his hay or straw to keep the manure in a pile or in a pit for a period of from five months to a year. When straw is used for bedding, weed seeds may be carried by the hoofs of the animals. Hay cannot be readily inspected to detect the presence of weed seeds and, even if they are known to be present, their removal is impracticable. An old tradition states that Canada thistle was first introduced into eastern New York in hay brought from Canada to feed the horses of General Burgoyne’s army. One of the most southern localities in which the Canada thistle has persisted as a weed is Remington, Virginia, formerly Rappahannock Station, which was the supply station for General Grant’s army before the campaign of the Wilderness. Millions of weed seeds are scattered by the wind, sometimes being carried a mile or more in a strong gale. This is especially true of dandelion, some of the thistles, and such other seeds as possess a light, feathery down. Many of the so-called tumbleweeds are especially adapted for the scattering of their seeds by the wind. Such weeds as Russian thistle, ragweed, and horse nettle, when mature, break off at the surface of the ground and are rolled or carried by the wind. As they tumble along, the seeds are shaken out and scattered. These rolling weeds also are frequently the vehicle for other weeds, which catch in the tumbleweeds and thereby ride along, scattering their seeds. A good fence is very effective in keeping these weeds off your land, besides keeping stay stock out. The individual farmer is almost helpless against the introduction of most weed seeds by means of the wind; the situation requires community action. Most of the states, and some townships and counties, have weed laws which are enacted to prevent certain weeds from going to seed, but these laws are not always as rigidly enforced as they should be. Community cleanliness with regard to weeds is, therefore, essential to any farsighted policy of weed control. Many farmers do not spread manure while it is fresh, because, they say, the weed seeds in it will germinate and produce weeds. Instead, they keep the manure in compact piles long enough to allow the seeds to rot, and then spread it on the land. The period for “weathering” the manure is from five months to a year. This method, however, not only requires extra handling, but also results in loss of the fertility value — principally in nitrogen, phosphorus, and potash — through exposure to the weather. 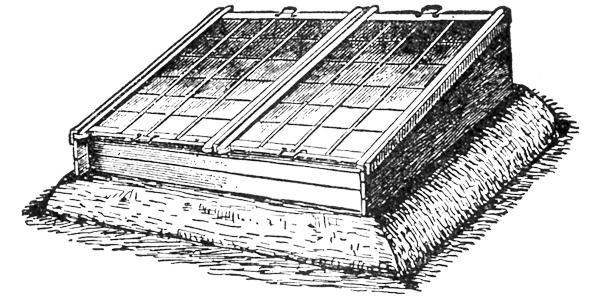 Very little fertility will escape if manure, both solid and liquid, is kept covered in a pit, a common practice in many European countries. Nearly all manure contains some weed seeds, but unless you know for sure that it is badly infested, it is far better to spread the manure when it is fresh. In this way, you give your crops the full benefit of the valuable plant food elements it contains. You also build up the land more quickly and make it more resistant to weeds. While it undoubtedly would pay some farmers to pile their manure for the sake of keeping weeds under control, the answer to this question depends largely upon the individual farmer’s cropping system. While some kinds of stock feed are free of weed seeds, others are not. Cottonseed meal, oil meal, brewers’ and distillers’ grains, corn bran, middlings, and the gluten feeds are practically free of weed seeds; but molasses feeds, oat chop, wheat bran, and the mixed feeds are more or less apt to contain seeds of various weeds. This is especially true of that class of mixed feeds made from mill by-products, because such by-products are partly composed of screenings, which contain weed seeds resulting from the cleaning of grain. In some areas, weed seeds may be introduced into fields by irrigation water. Unmolested weeds along irrigation ditches drop their seeds into the ditches and the seeds are carried to the field by the stream. The real solution is to prevent any weeds from maturing in places where they can get into irrigation streams. This is possible to some extent by pasturing, mowing, and burning. If the top growth is kept down by thorough cultivation, one year may be sufficient to eradicate many perennials, although especially persistent species will require additional work. Cultivation to destroy perennials is especially effective, however, if it is accompanied by a systematic crop rotation; the cultivation involved in a rotation of crops automatically strikes at the existence of every weed on the farm. The adoption of a systematic method of growing grains, grasses, legumes, and cultivated crops in a rotation is not only good farming but in itself is a severe blow to weeds. The mere changing of crops is an effective method of controlling many troublesome weeds. Weeds have various habits of growth; many are troublesome in one crop and not in others. 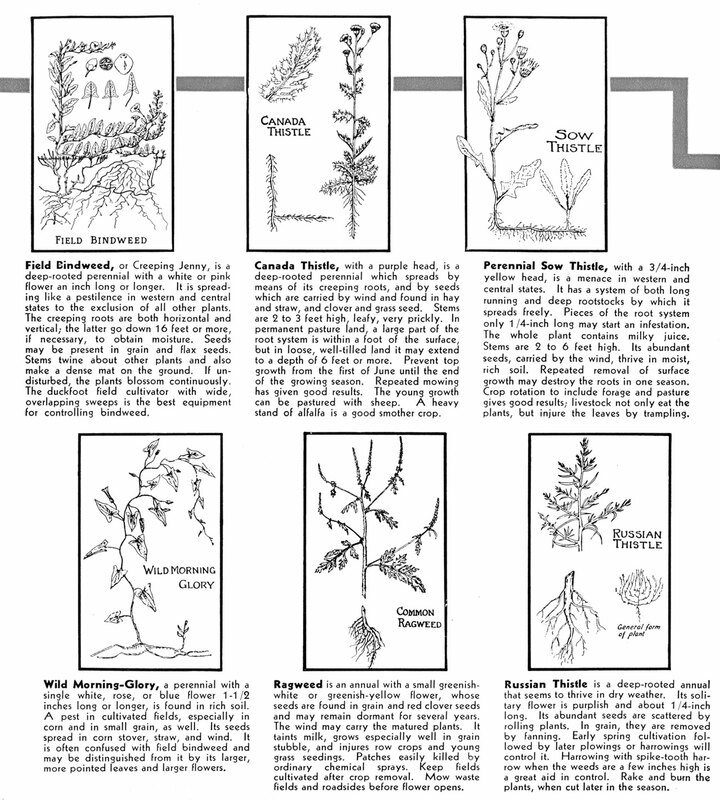 Dodder and Russian thistle cause trouble in alfalfa, but practically none in cultivated crops. On the other hand, foxtail or pigeon grass and similar plants cause considerable trouble in cultivated crops, but are seldom found in crops such as alfalfa or the grasses. Wild oats is a pest in grain fields, while it seldom occurs in grass and cultivated crops. In fact, in any system of crop rotation, where various types of crops are grown, there is a gradual change in the weed population with a change in crops. On the other hand if land is planted to the same crop year after year, certain weeds have plenty of opportunity to make top growth, mature their seeds, and become firmly established. If the land is planted to different crops in succession, the weeds do not have the opportunity to make nearly so much headway. A rotation system usually includes the growing of grasses, clovers, or other forage crops for hay. These not only discourage many kinds of weeds by their shading effect, but also reduce the number of new weed seeds, since the crops are cut before seeds of most weeds ripen. Adopting a rotation also frequently means growing cultivated crops on land where such crops have not been raised. The value of cultivated crops in cleaning land of weeds is naturally very great. This is especially true where corn is grown and planted in check-rows to permit cross cultivation. In spring work, if weeds are likely to be troublesome in cultivated fields, it is good practice to prepare the seed bed as early as possible to induce weed seeds to germinate in order that the weed seedlings may be killed before planting. If weeds are difficult to control, it is advisable to delay planting as long as possible in order to allow more time to kill them, rather than to permit the weeds to grow up with the crop and retard its development. After the crop is in, the weeds should be attacked when they are young, by means of a cultivator best equipped to destroy the particular type of weeds you are fighting. Going over your fields with a rotary hoe or spike-tooth harrow when both the crop plants and the weeds are small is a very effective method. With the coming of the general purpose tractor and its many types of equipment and its advantages in speed, capacity, and economy, the farmer of today is in better position than ever to keep ahead of the weeds and the weather. 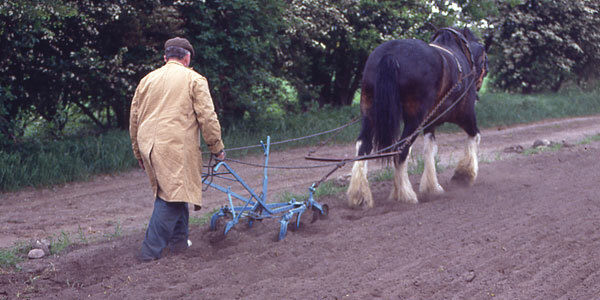 Tractor cultivation is not limited by its physical capacity, as are horses or mules, or by the heat, or the hours of daylight. With a two-row tractor cultivator, he can cover 2 to 3 acres an hour; and a big-capacity 4-row tractor cultivating outfit will cover as much as 60 acres in a 10-hour day. If the work of preparation and after-tillage has been timely and thorough, few weeds will come up and go to seed after cultivation is stopped. Cultivated crops offer abundant opportunity to rid a farm of weeds; they are “cleaning crops” when properly tended. When the land has been cropped to grain, the control of weeds should begin as soon as the crop is harvested. The object is to induce whatever weed seeds there are in the ground to germinate, and then to carry on a vigorous campaign against the seedlings before the freeze-up. There are a number of weeds that mature seeds soon after harvest; ragweed and foxtail, for example, are two outstanding offenders. Encouragement of fall growth calls for proper and timely tillage. The time and type of tillage will vary with the kind of crop, the soil and field conditions, the amount of rainfall, and the habits of the weeds. Roughing the field with the disk tiller or the field cultivator equipped with wide duck-foot shovels leaves the land in ideal condition to encourage germination of weed seeds and volunteer grain. This treatment also helps to conserve moisture. While the moldboard plow has an important place in weed control, it is usually not advisable to plow deep, since this turns under many weed seeds that will remain dormant in the soil, perhaps for years, or until they are plowed to the surface again; thus, the time required to eradicate them is prolonged. Many of the seeds that are induced to germinate after harvest will winterkill; others will survive the winter, and may then be killed by cultivation before another crop is planted in the spring. Certain weeds start growth in the fall, live through winter, and seed early the next season; others may germinate in the fall, and may be winter-killed, or they may not germinate until spring. These two groups correspond in their habits to winter and spring wheat. Keeping the tops of the weed plants cut off and the field black until freeze-up is the best way to starve them out. This continuous, clean cultivation exhausts the food supply in the underground parts, and eventually results in complete extermination. Field bindweed, whitetop, Canada thistle, Russian knapweed, and many other weeds can be conquered by this treatment, although some require more of it than others. Everything possible should be done to encourage weed growth in the fall because, the quicker new growth occurs, the sooner the reserve plant food stored in the roots will become exhausted. Briefly, the tillage implement to be chosen in either row crop or small-grain fields is the one which does the job best and at the lowest cost. The implement that covers the largest area of ground is obviously the most economical. It remains for the individual farmer to determine what type of equipment is required for his particular tillage job. For general field work, the field cultivator with two sets of shovels – the 1-3/4-inch for quack grass and similar weed pests, and wide overlapping sweeps for deep-rooted weeds – gives the best results in the control of all kinds of weeds. Like the disk tiller, the field cultivator with wide duck-foot sweeps works the stubble and binds it in with the soil to reduce blowing. The teeth can be set for deep or shallow tillage and adjusted to leave the surface smooth or ridged, as desired. The spring-tooth weed destroyer, like the spring-tooth field cultivator, is especially designed to rip out the roots and underground stems of obstinate perennials, particularly grasses. The disk harrow used alone will not give a complete kill in the most pernicious weeds. It fills an important place, however, used before spring seeding in fallplowed ground, being effective in breaking up clods, cutting out seedling weeds, and compacting the soil, and it may be used to advantage before and after fall plowing in trashy fields and for summer-fallowing. For big-capacity cultivation and summer-fallowing in the control of weeds, the rod weeder ranks with the field cultivator and the disk tiller. This machine, which is used principally in the hilly fields of the Pacific Northwest, pulls out the weeds by the roots and leaves them exposed on the surface. It also throws up a cloddy mulch and compacts the lower soil. The spike-tooth harrow and the rotary hoe, while of big capacity, are effective only when the weeds and crops are young and small. You can do a mighty good job with either one of these implements in breaking up crusted surface soil and destroying small weeds. To exhaust the food supply of certain well-established perennials, such as bindweed, is a long and tedious task, but for those who are really serious about it, the recommended methods of control can accomplish it. However, it requires patience, persistence, and unrelenting vigilance. The methods used will vary according to conditions such as the kind of soil, the area involved, the livestock to be grazed, and the kind and amount of machinery available. The field cultivator equipped with spring teeth and wide shovels, or the rod weeder or disk tiller may be used in place of the plow and ordinary disk. Power machinery is needed when any considerable area is to be handled. Wind and water erosion must be guarded against. The tenacity with which most perennials cling to life has an importance that cannot be overestimated. That is why farming demands, first, last, and all the time, unceasing attention to those perennials which constantly threaten to undermine it. Fallow . . . .
Perennials often may be attacked effectively by clean cultivation without growing a cultivated crop, in other words, by a bare fallow. Conditions may call for a complete fallow, or they may require only a partial fallow. In adopting the complete fallowing system, it is important to work only the number of acres you know you can handle efficiently — because, once started, it must be followed through until a complete kill is made. In grain-growing regions where moisture conservation is important in addition to weed control, it is often essential to fallow for an entire season, or longer. In some sections, it would be impossible to raise a crop without fallowing. In many other localities, where rainfall is greater, partial fallow will suffice; that is, either cropping the land to hay or small grain during the early part of the season and fallowing it the latter part, or seeding the land to winter rye or a similar crop in the fall, pasturing until midsummer of the next year, and then fallowing until fall. Either plan has the advantage of starting the work of eradication by fallowing at a period when nearly all weeds are in their most susceptible state. 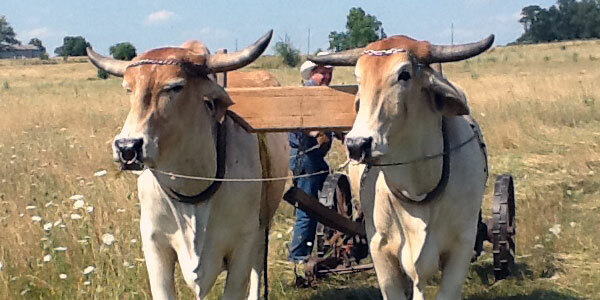 For spring seeding, fallowing should be started as soon after harvest as possible; if the land is trashy it should be plowed and harrowed or disked, and then worked with a field cultivator equipped with wide shovels at frequent intervals during the remainder of the season to prevent top growth. If the land is fairly clean, plowing first is not necessary; the field cultivator will handle the entire job. Cultivations may be done before the leaves appear above the ground, or soon after they appear. If this fallowing is done systematically, many kinds of perennials will have died by the close of the season, but it is usually advisable to plant a cultivated crop the next spring in order to destroy whatever weeds persist. Under this plan, the greater part of the work of eradication is best done with large implements at a time of year when other work is not ordinarily pressing. This method is especially successful with the weedy grasses, such as Johnson grass, Bermuda grass, and quack grass. A spring-tooth cultivator makes an excellent tool for the purpose; the vibrating spring-steel teeth tear out the whole plants and bring them to the surface where the roots an rootstocks are exposed to the sunlight. When using the spring-tooth equipment, set the shovels at a depth of about 2 inches the first time over. Then cross-cultivate the second time over, with the teeth set to penetrate at maximum depth. If the field is thickly infested with roots, the ground should be gone over a third time, driving the cultivator diagonally across the field. This will give you a good, clean job of cultivating and your field will be worked deep. In a wet year, six times over a field with a field cultivator may be necessary to accomplish as much as four cultivations will in a dry year. Stiff-tooth equipment with wide duck-foot shovels is used extensively for summer-fallowing, and for cutting off deep-rooting weeds, when the soil is very heavy or when extra-deep cultivation is wanted in preparing seed-beds. In field bindweed, it is necessary to go over the area with one of these implements every week or so and never to let new plants grow above ground more than a few days. Well-established patches may require this treatment for long periods of time. 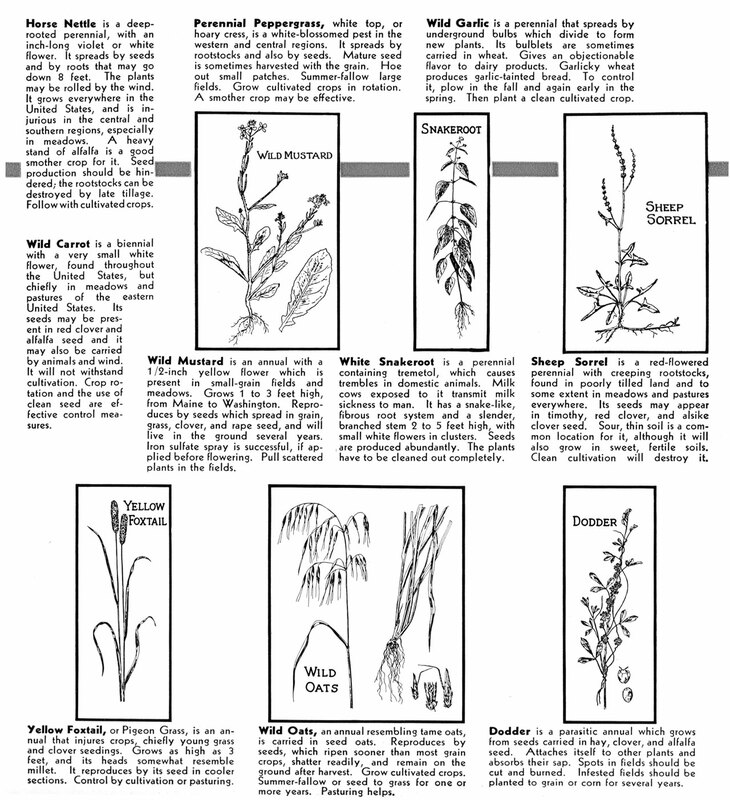 In the case of quack grass or Canada thistle, if by September first the weeds appear to be dead, the ground may be properly prepared and sown to fall rye, which may be plowed under in the spring for a green manure crop and the field planted to corn or other crop; or the rye may be pastured. The rod weeder has a place where summer fallow is practiced. It does an effective job of eradication in loose, friable soil infested with shallow-rooted weeds. The disk tiller is satisfactory in many sections, particularly for the first cultivation. Where it is desirable to turn under certain deep-rooted weeds or trash, the plow is most effective. Recommendations regarding suitable cropping plans in your section, including the use of fallow, to control field bindweed and similar weeds, may be obtained from your nearest agricultural college or experiment station. These will contain suggestions that apply to your own conditions. To be effective, any fallow should be kept free from weeds. A summer fallow to conserve moisture is worthless if it is allowed to grow up to weeds, because weeds exhaust the moisture supply as thoroughly as does a crop of wheat. Wild sunflower, for instance, requires about twice as much water to produce a pound of dry material as does corn; and to produce one pound of dry matter, a plant of ragweed used 948 pounds of water. To the dry farmer, this is of vital importance, since on the conservation of the moisture depends the success of the crop. The winter annuals among weeds, such as peppergrass and foxtail, being much like winter wheat in habit of growth, are difficult to control in winter wheat. Where summer-fallowing is practiced, these weeds are easily controlled by keeping the fallow clean. Where continuous cropping is practiced, however, the problem is very different; it is in such conditions that these weeds are likely to become troublesome. A rotation that includes an inter-tilled crop should then be adopted as a control measure. Otherwise, summer-fallowing must be practiced often enough to keep weeds in check. Mowing plays an important part in preventing weeds from going to seed. Where cultivation has been neglected or is impracticable, the mower enters the picture as the implement of control. There are many instances where weeds have been driven out of pastures and the grass stand improved, by consistent mowing each year. And not only in pastures, but along roadsides and ditches, in hay and grain fields that are overrun with weeds, timely mowing is the practical means of retarding weed growth. Timeliness in mowing is just as essential as it is in cultivating. Experience has proved that the best time to mow weeds is when they are at their full growth or in bloom, because at this stage the vitality of the plants is lowest. When there are patches in grain fields thick with weeds, it will pay to cut them, grain and all, before the weeds start to go to seed. At the time, you might think that this is a wasteful procedure, but if you want to rid your farm of weeds, you cannot afford to let them go to seed, even though you have to sacrifice a part of your immature grain crop. The cutting out of these weedy patches is not the complete solution of your problem, however. The work out go on after the grain crop has been removed. You may be sure that a crop of weeds will spring up after harvest. If not disturbed, these weeds will reseed the land for another crop to follow. Where the program calls for the seeding of clover to grass along with the grain, it is doubly important that the weeds be kept in check in order that they do not choke out the young grass. It pays to cut weedy hay early, if it means preventing weeds from going to seed. One thing about it, the hay itself, especially legume hay, is at its best when young and tender, and the presence of weeds, unless the weeds are poisonous, does not seriously affect its palatability. The thick stands and vigorous growth of smother crops may frequently be depended upon to keep down the top growth of perennials; and most annual and biennial weeds can also be controlled by smothering. The principal value of smother crops in perennial weeds is to weaken the root systems and thus facilitate the work of cultivation that is to follow. If the smother crop is to be successful, there must be considerable moisture in the ground. Smother crops ordinarily used include alfalfa, sorghum, sweet clover, buckwheat, sudan, small grain, corn, Russian sunflower, and soy beans. Some weeds are more susceptible to this treatment than others. Bermuda grass may be crowded out by a continuous succession of smother crops. Weeds can sometimes be weakened by working the land well and sowing a quick-growing crop which, under favorable conditions, may get ahead of the weeds and help to smother them. Alfalfa, where it succeeds well, is the most effective smother crop, largely because it combines frequency of cutting with the smothering effect. It may be relied upon to reduce greatly or even to eradicate perennials except some of the grassy weeds. Some individuals are reported to have been able to control bindweed by crowding it out with alfalfa. To do this, however, conditions must be ideal, with the soil and moisture supply very favorable and other conditions such that it is possible to get a god stand of alfalfa before the weeds get well started in spring. Although sorghum, sudan grass, soy beans, and miles have all been used by farmers as annual smother crops for Canada thistle and a few other perennial weeds, none of them seem to be equal to a heavy stand of alfalfa. It is cut early enough to prevent weed seed production in most cases and, in addition, frequently enough to reduce food storage by the weeds. Alfalfa, being a perennial itself, competes successfully year after year with weeds. In general, it is better to fallow the land for a time to reduce the weed population and then to seed alfalfa, although some farmers have succeeded in smothering thistle by sowing alfalfa in the spring with a nurse crop. The first crop of hay may contain enough thistles to reduce its value materially for feed, but subsequent cuttings are usually satisfactory. Weeds which may in time be destroyed, or at least kept under control, by alfalfa are Canada thistle, leafy spurge, perennial peppergrass, perennial sow thistle, horse nettle and, in some sections, field bindweed. Many of the less difficult weeds may be subdued by grazing. Sheep are very effective in preventing weeds from seeding. A pasture on which sheep are allowed to graze is usually more nearly free of weeds than where cattle or horses are pastured, for the sheep thrive on many plants that other livestock avoid. Sheep turn on grain stubble tramp weed seeds into the soil, thus causing many of the seeds to germinate at once. The resulting plants are either pastured off or frozen out. Goats are even more nearly omnivorous than sheep, but the regions where it is profitable to keep goats are more limited. In the case of perennials, where it is not practicable to graze sufficiently close to destroy them completely, grazing, like a smother crop, greatly weakens the root system of these plants, making it an easier task to complete their destruction by cultivation. Weeds like ragweed, plantain, sheep sorrel, and many others, persist in permanent pastures which not only are low in fertility, but are overgrazed. It is well to provide two pastures and allow the stock to feed in one for a month or so, then move them to the other pasture. A rest period for the forage grasses permits them to accumulate food reserves, and this not only better prepares them for winter conditions, but also enables them to furnish more forage and to crowd out weeds more successfully. Certain weeds that thrive in a poor soil or in soil deficient in lime, tend to disappear after an application of lime. The same results may follow an application of any plant food if it is deficient in the soil. It is not so much that lime or fertilizer is destructive to the weeds, as that it is helpful to the pasture plants so that their better and more rapid growth enables them to crowd out and smother the weeds. As the fertility decreases, the weeds gain a stronger foothold. For a weedy pasture low in fertility, the first step, then, is to build up the soil. This can be accomplished mainly in two ways: by applying barnyard manure, and by growing and turning under green manure crops, then reseeding the pasture. If land is sour, it should be first limed, then seeded to small grain and sweet clover, and plowed, either the same fall or the next spring when a heavy crop of green manure has been produced. This treatment is of special value where sheep sorrel has gained a foothold, because it thrives in sour soil. Permanent pasture or meadowland which cannot be plowed should be manured and, in some cases, treated with superphosphate (not acceptable for certified organic). Smothering weeds that occupy limited areas by the use of manure, straw, leaves of various kinds, beet pulp, pulp from tomato canneries, and tar paper have all been tried in the control of rootstock perennial weeds with varying degrees of success. Burning is a good method of eradicating small patches of certain weeds, such as dodder. If annuals and biennials have been allowed to blossom before they are cut, they should be burned as soon as possible after cutting. It is sometimes necessary to gather them into piles before they will burn, but it is always best to disturb them as little as possible, so that the seeds will not scatter. Flooding to control weeds has met with success under favorable conditions where it was possible to maintain the water cover. Weed control is a necessary and important part of farming; weeds are fighters, and it does not pay to fight back at them half-heartedly or with ineffective implements and methods. The duck foot type of cultivator shovel is recommended for bare fallowing to destroy most of the perennial weeds. In still larger areas, it is advisable to combine the summer-fallowing with a cropping system. It is sound economy — good husbandry — to keep everlastingly after the weeds — for your own good and for the good of your community.